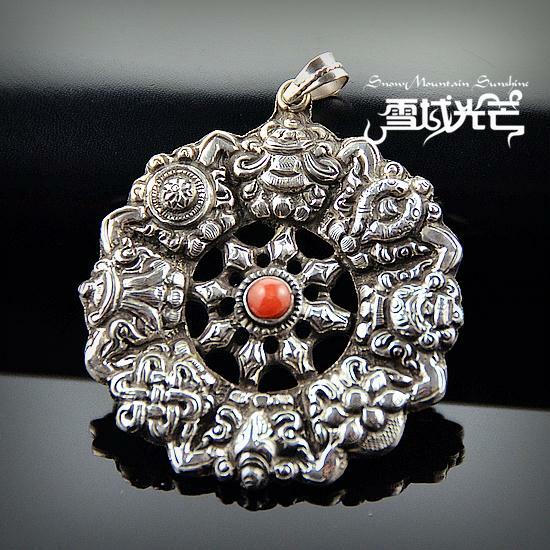 Handmade Sterling Silver Tibetan Buddhist Sacred Eight Symbols Pendant. 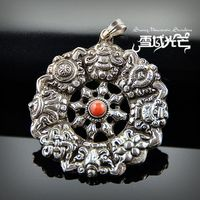 This Tibetan Symbols Pendant was handmade from sterling silver and red coral in Nepal. 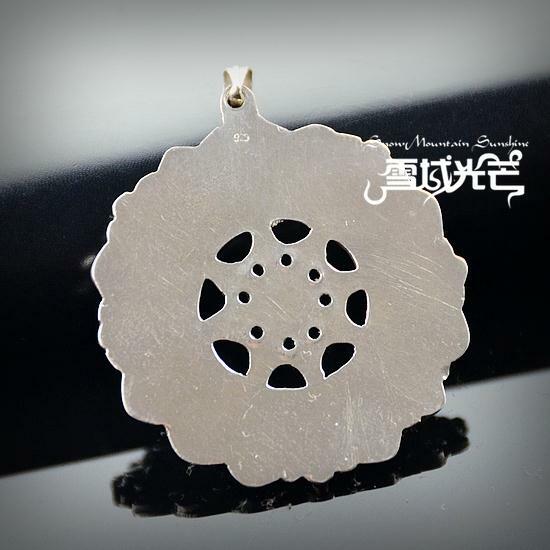 Size: 45*41*5.5mm. Weight around 12g.